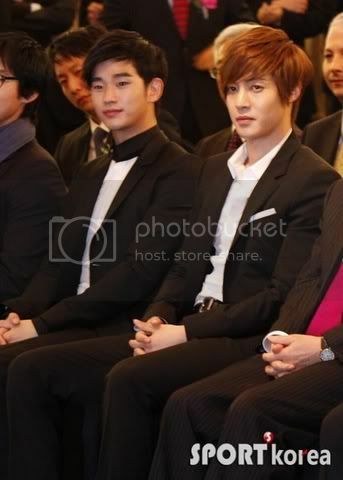 for a flood of pixs of Hyun Joong and Soo Hyun !! 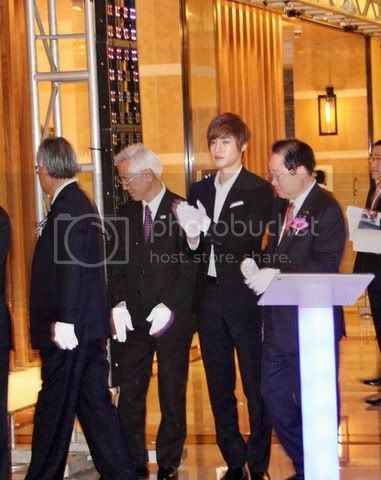 The people attending the opening of Lotte Hotel in Busan are very lucky....they get to see Kim Hyun Joong, Kim Soo Hyun and Ryu Si Won. 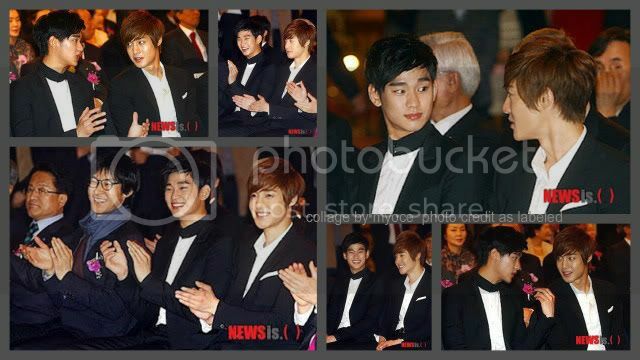 If I were there, I wouldn't be paying attention to anything...except to Hyun Joong and Soo Hyun...hehe. 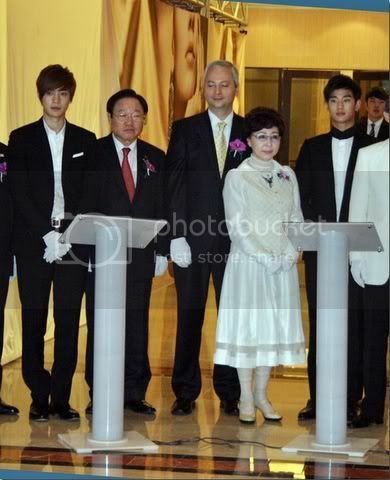 and Hyun Joong ...is....errr....is ....NOT ! 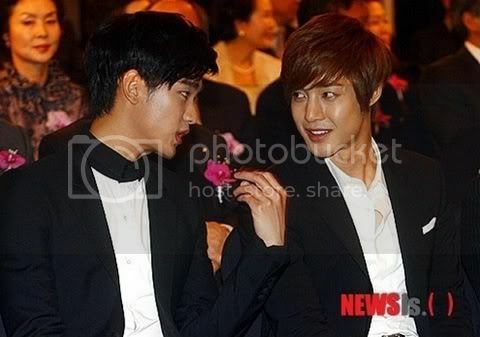 Maybe KHJ's asking : "How was it being king?" 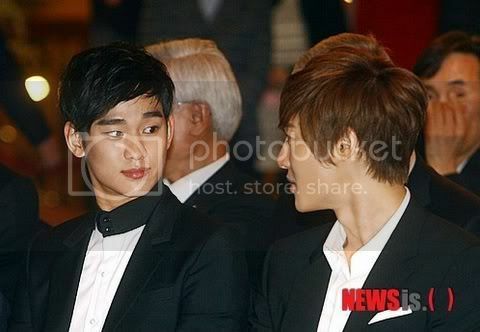 KSH probably answered : "Gee...It was no joke...."
"They tried to assassinate me in every episode !!" 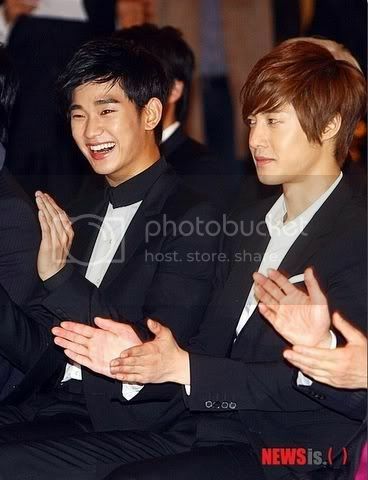 kekeke..
Now....are these three gentlemen mimicking Hyun Joong ?? wonder if there's some significance to it ??? 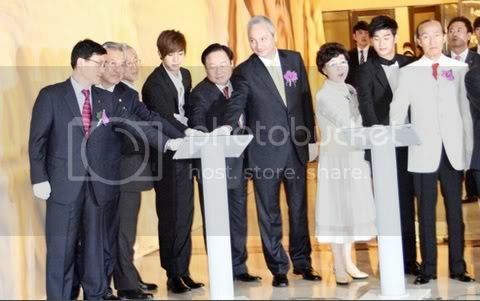 Leader dear....thanks for appearing and making us happy !